Dentists recommend you brush your teeth twice a day, but it’s important to remember that the toothbrush you use is as important as brushing itself. The toothbrush is a tool to remove food debris and bacteria from your teeth, and like many tools, requires proper care in order be effective. 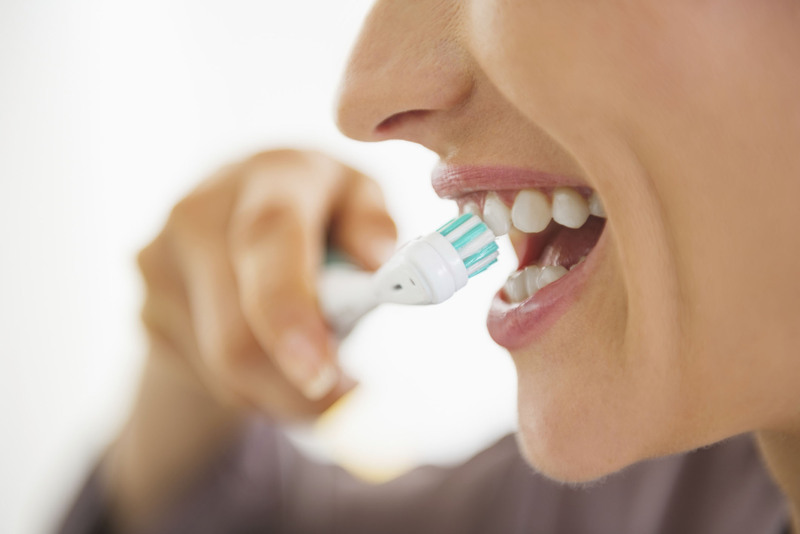 First, toothbrushes are designed to minimize bacteria in your mouth by removing food and plaque. To minimize bacteria, the toothbrush must be kept clean. It should be washed thoroughly with tap water after each use to remove food particles. Keep the toothbrush upright in a rack or cup – allowing water to drain from the bristles, as dry bristles are less likely to grow bacteria. If you must put the toothbrush into a closed container after use (for example, when traveling), try to dry it using a clean towel if possible. You should consider sanitizing the toothbrush occasionally. This can be done easily with antibacterial mouthwash, though some dentists recommend you run your toothbrush through the dishwasher to allow the heat to kill bacteria. You can even buy professional sterilizers that utilize ultraviolet light to sanitize toothbrushes. The average toothbrush should last 3-4 months, but replace it if it shows signs of wear. Bristles that are frayed, loose, or falling out are a sign that it’s time to replace the brush, and certainly any sign of cracking plastic signal it’s time to replace the toothbrush. Even if the toothbrush is in good condition, you should consider replacing your toothbrush if you’ve ben ill – if you continuing using a toothbrush after you’ve been sick, you can continue introducing the bacteria from that illness to your system. If you have questions about choosing the right toothbrush, talk to your dentist. While any toothbrush that is certified by the ADA is likely effective, proper brushing technique and care of your toothbrush are necessary to properly fight tooth decay.